Posted by grhomeboy in Archaeology Greece, Arts Museums, Vote For Return Greek Marbles. World’s momentum is growing for the return of the prized Parthenon marbles, taken from the Athens Acropolis some 200 years ago by Britain’s Lord Elgin, as major Museums handed back more ancient objects. Museums around the world have in recent years started returning ancient artefacts to their countries of origin and have tightened checks on acquisitions to avoid buying objects that were illegally excavated or smuggled abroad. “More and more Museums are adopting tighter ethics codes and governments promote bilateral and international cooperation (for the return of ancient objects),” Greek Culture Minister Michalis Liapis told an international conference at the new Acropolis Museum. “So an ideal momentum is being created … for clear solutions on this issue,” he said. The trend towards returning artefacts was strengthened by the high-profile affair involving former J. Paul Getty Museum curator Marion True and smuggled artefacts that were acquired by the Museum. Italy dropped a legal case against the Getty Museum last year after the institution agreed to return 40 items Rome believed had been stolen and smuggled out of the country, and the Getty has returned several such items to Greece. Both Italy and Greece have charged True with offences linked to trafficking in antiquities. She denies any wrongdoing. New York’s Metropolitan Museum has returned a prized 2,500-year-old vase to Italy, which recently displayed nearly 400 looted ancient objects that have been recovered in the past three years. The Parthenon marble friezes and sculptures were removed [stolen] from the Acropolis above Athens by British diplomat Lord Elgin in the early 19th century, with permission from the Ottoman Empire officials then in power. Lord Elgin acquired his collection between 1801 and 1810. It was bought by the British Museum in 1816. The Museum refuses to return them to Greece on the ground that its statutes do not allow it to do so. Britain said for many years that the marbles were better preserved in London than in Athens’ polluted air. Greece has said this argument is now obsolete given the completion of the new Acropolis state-of-the-art Museum, where an empty gallery awaits the Parthenon marbles. Posted by grhomeboy in Archaeology Greece, Shows & Conferences, Vote For Return Greek Marbles. Changes in museum policies and an increase in instances of cooperation between different countries for the repatriation of looted artifacts could pave the way for the return of the Parthenon Marbles, Culture Minister Michalis Liapis told an international conference in Athens yesterday. “More and more museums are adopting tighter ethics codes and governments are promoting cooperation, so the ideal momentum is being created for clear solutions,” Liapis told the UNESCO event at the New Acropolis Museum. Museum officials and archaeologists gave several examples of repatriated artifacts, such as the Obelisk of Axum, returned to Ethiopia from Rome in 2005. Experts also remarked upon the increase of works being smuggled out of war zones. 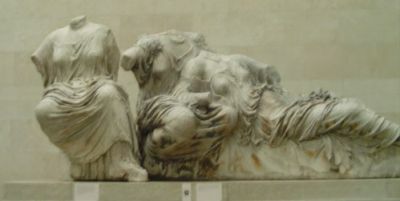 Christiane Tytgat, former curator at the Royal Museums of Art and History in Brussels and director of the Netherlands Institute in Athens, said the Parthenon Marbles, currently in the British Museum, should be sent back too.“I support their return unreservedly… this is where they belong,” Tytgat said. Posted by grhomeboy in Arts Museums, Shows & Conferences, Vote For Return Greek Marbles. The place, the viewpoint and the general atmosphere of the conference on the return of cultural property for the first international meeting at the New Acropolis Museum in Athens. Nobody can stop an idea whose time has finally come. This blog has written on several occasions about how the issue of the return of the Parthenon Marbles has gone from being a national demand to an international imperative, supported by leading figures from around the world who want to see the parts of the UNESCO-listed monument reunited. But it will take more than being in the right to get back the marbles that Thomas Bruce, the seventh earl of Elgin, dismantled, stole and took away in 1801, when Athens was under Ottoman rule. 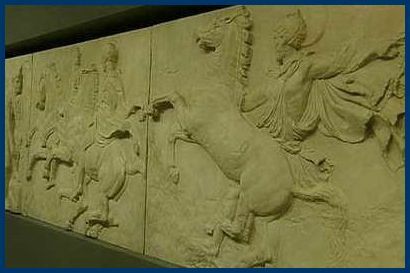 With the permission of the sultan, Lord Elgin, then the British ambassador to Constantinople, had the Parthenon friezes cut up and transported to England, where they were bought by the British government. It, in turn, donated them to the British Museum in London where they have remained since. What was needed, as Melina Mercouri told a plenary session of UNESCO in 1982, when, as the country’s Culture Minister, she initiated her campaign for the return of the Parthenon Marbles, was “a new museum to house them,” given that the existing Acropolis Museum was already full. In order to build the Museum, Mercouri’s husband, the noted American-born French filmmaker Jules Dassin created the Melina Mercouri Foundation, to which he donated his fortune. The state undertook the project, putting distinguished architect Dimitris Pantermalis at the helm. Renowned architect Bernard Tschumi collaborated with Greek architect Michalis Fotiadis in designing the project that is today coming to fruition opposite the Acropolis. While the British Museum continues to insist that the Parthenon marbles should stay in the English capital where visitors from all over the world come to see them in the Duveen Gallery, its position is weakening. The upper floor of the New Acropolis Museum will showcase the surviving marbles, together with copies of those in the British Museum so as to show a complete picture of this matchless work of art. This blog believes that they will return to their place of origin under pressure from the public and governments. One promising indication is that countries and museums around the world are starting to return works of art to the places from which they were removed due to wear, bombardment or illegal activities. An international conference on the return of cultural property starts Monday, March 17, at the New Acropolis Museum, organized by UNESCO and the Greek Culture Ministry. It is the first in a series of international gatherings organized by UNESCO and its member states to foster awareness and provide a forum for reflection and exchanges on the issue of the return of cultural property. Greek President Karolos Papoulias will attend the opening of the conference. Culture Minister Michalis Liapis and UNESCO Assistant Director-General for Culture Francoise Riviere will greet the participants. The event is coordinated by Vivi Vassilopoulou, the general manager of antiquities and cultural heritage at the Greek Culture Ministry. For two days, the conference will address the issue, with examples ranging from Italy’s return of an obelisk to Ethiopia to the return by Edinburgh of Aboriginal remains to Australia. There’s a strong feeling among journalists that Elena Korka, the head of the Culture Ministry’s directorate of prehistoric and classical antiquities, will seize upon the opportunity presented by the conference to raise the issue of the Parthenon Marbles, because nothing can stop an idea whose time has come. Ever since her grandfather, Spyros Mercouris, the Mayor of the Greek capital, used to take her out for a walk and tell her “This is your Athens”, Amalia-Melina Mercouri knew that this was her home town. The woman who had everything – beauty, dynamism, an unquenchable thirst for life, love and service – managed to fit it all in to her glittering life, which was not without its shadows during the years of the dictatorship. Exiled to New York at the time, where she was starring on Broadway in a production of “Never on Sunday” she was at the head of all the demonstrations for freedom and democracy in Greece. Recruited to serve her country again in the government of Andreas Papandreou in the 1980s, she was the first to demand the return of the Parthenon sculptures from the British Museum. Fourteen years ago on March 6, Melina died in New York after an operation. Her beloved companion, the film director Jules Dassin who gave up his career for her, also gave his fortune after her death to found the Melina Mercouri Foundation for the purpose of building a new Acropolis Museum, now completed. “When the sculptures come back to Athens, so will I,” she promised. Posted by grhomeboy in Architecture Greece, Hellenic Light Oceania, Vote For Return Greek Marbles. A 30-year campaign for chips off an old block > The verbs may vary, chiselled, chopped, pillaged, but the fact remains that more than 200 years ago, the English ambassador to the Ottoman Empire, Lord Elgin, used the Royal Navy to transport marble sculptures from the Parthenon to England, where they were sold in 1816 to the British Museum. Now, with the vast restoration of the Parthenon nearing completion, along with a new Acropolis Museum due to open next year, the time has come for the Elgin marbles, as they are known in England, to go home. But don’t call them the “Elgin marbles” any more. To Maria Ioannidou, the Director of the Greek Government’s Acropolis Restoration Service, they are simply the “Parthenon sculptures”, and they must be returned to Greece. Ms Ioannidou will arrive in Sydney on Monday as part of the Parthenon Project, an initiative of the University of Sydney’s architectural faculty. The project includes exhibitions, a debate on cultural heritage and the annual Wilkinson lecture, co-presented next Wednesday by Ms Ioannidou and Nikolaos Toganidis, the architect responsible for the restoration project. Ms Ioannidou, 56, has spent more than 30 years working on the Acropolis restoration project, which is funded by the Greek Government and the European Union. In 1975, as a recent graduate in civil engineering, she worked with a committee on the restoration of a small temple on the Acropolis monument, which is topped by the Parthenon temple, built in the 5th century BC. 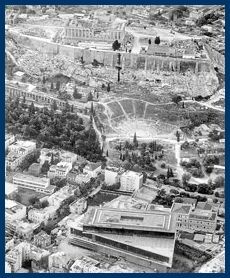 By 2000, she had responsibility for all restoration on the Acropolis, including the Parthenon. Ms Ioannidou still works 10 to 12 hours a day on the project, but luckily her family understands the commitment. Her husband is an architect, her 24-year-old son is a mechanical engineer and her 21-year-old son is studying applied mathematics at university. What will she do when the restoration is completed? 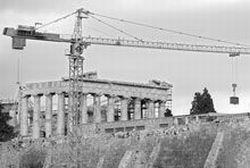 “I will have a lot of work to do, not only for the Parthenon but the management of the archeological site. The surface of the rock was excavated during the 19th century, so now we have to restore [the] surface of the rock in order to face problems on the monument and enhance the site. It is a never-ending problem.” After she retires, “I would like to stay close to the Acropolis and do a lot of writing, which I haven’t had the time to do because I’ve been so busy”. If and when the Parthenon sculptures are returned, they will not be placed on the Parthenon itself, but in the new museum, to protect them against the elements. Until then, the artworks will be represented by plaster casts made using the originals. The Parthenon Project in Sydney is the brainchild of Theodora Minas, a lawyer and graduate of the University of Sydney. Michael Turner, the senior curator of the University’s Nicholson Museum, said Ms Minas was “getting out and spreading the word, the absolute desire of the Greek people to see the Parthenon marbles returned by the British Museum to Greece”. “She’s representative of a new generation of Greeks looking to right this perceived wrong to Greek cultural history and identity,” he said. A Parthenon restoration exhibition will be on display at the Nicholson Museum until mid-December. 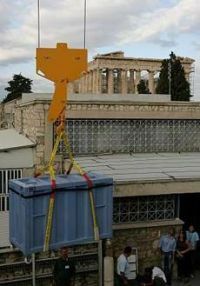 A crane transferring a crate of antiquities from the old to the new Acropolis Museum. The Acropolis is “missing the Marbles,” was the headline of a story in the Christian Science Monitor by Nicole Itano, in a report on the beginning of a large-scale operation last week to move tons of antiquities from the Acropolis to the new Museum at its foot. At 9 a.m. sharp last Sunday, a 2.3-ton marble sculpture was the first of 4,500 works of art that will be moved over the next three months. The new Museum, however, will be better known for what is missing from it rather than for what it contains. For when it opens to the public next year, the celebrated Parthenon Marbles, also known as the “Elgin Marbles” after the British member of the nobility who made off with them in the 19th century, will still be missing. Nearly 200 years later, the British Museum still has about half of the extant Parthenon sculptures. Greece hopes that the new Museum will put more pressure on London to return them. The latest battle to have the marbles returned dates back to 1982, when the then Culture Minister, actress Melina Mercouri, speaking at a UN conference, called for their return. Germany’s Deutsche Welle press review, and Austria’s daily Die Presse both carried extensive reports on the importance of the new Museum. It is clear that Greece is not alone in seeking the return of its cultural treasures. Meanwhile, Jules Dassin, the President and soul of the Melina Mercouri Foundation, which was instrumental in realizing the new Museum, said nothing can stop an idea whose time has come. Greece should use the opening of its new Acropolis Museum to ratchet up the pressure on Britain for the permanent return of the Parthenon Marbles to their homeland, the head of an international campaign said yesterday. The 2,500-year-old sculptures and friezes were removed from Greece in the early 19th century by British diplomat Lord Elgin and successive British governments have refused to return them despite a campaign launched by Greece in the early 1980s. “What we would like to see is the Greek government to elevate this as an issue in bilateral relations between Britain and Greece,” said David Hill of the International Organization for the Reunification of the Parthenon Marbles after meeting Greece’s new Culture Minister Michalis Liapis. The 129-million-euro Museum, originally slated for completion before the 2004 Olympics in Athens, was delayed for legal reasons and by new archaeological discoveries on the site at the foot of the famed Acropolis Hill. With 20,000 square meters (215,000 square feet) of space, the facility is expected to display about 4,000 works, 10 times the number at the old hilltop Museum it replaces. 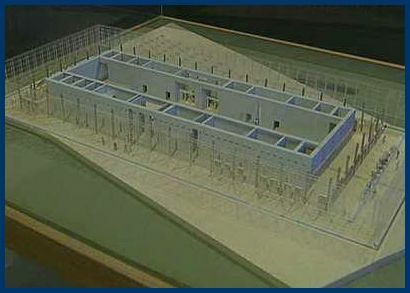 A top-level, glassed-in gallery has been designed to hold the Marbles, if and when they are returned, while offering an unobstructed view of the Acropolis. Curators will start transferring hundreds of antiquities to the new Museum by crane on October 14, although the new Museum is not due to start opening until next year, with the completed galleries open by 2009. Liapis told reporters that “the reunification of the Marbles is an historical necessity… with the return of antiquities to the Museum in a few days, it gives us new optimism and perspective.” Athens now proposes that the Marbles, currently kept at the British Museum in London, are returned through a long-term loan.